I remember having set up law firms in Thailand; Vietnam and Indonesia, trying to establish what the rules were for setting up companies and also how we would advise on the methods of buying property. Amazingly, the information was difficult to come by in a clear format, confirming there was still room for new law firms to advise investors. In Hong Kong, every property is ‘leasehold’ property because all land belongs to the Chinese Government. The buildings on the land are developed and rights in apartments are sold for very high prices. In Singapore, most properties are leasehold but there are some freehold opportunities reserved mostly for Singaporeans. In Indonesia there are strict rules prohibiting ownership that have been circumvented by many through the use of ‘nominees’. Those that can afford to set up a corporate structure set up “PT” companies which are not cheap or easy to administer. In Vietnam, laws are being constantly liberalized and now foreigners can own apartments and long leases are also available mostly up to 50 years but sometimes up to 70. In Malaysia, the Government made an effort to attract foreign investment for those actually producing monies in the country by creating a ‘my 2nd home’ program allowing ownership with conditions. In Myanmar there are promising signs good laws may be issued to allow foreign investment in property, but the implementation of these laws seems some way off. Thailand is therefore not the most difficult legal jurisdiction in Asia to invest in property, but isn’t the easiest either. There just haven’t been any changes to the general restrictions on foreigners owning land and other restrictive practices relating to property investment for decades. The easiest and most secure investment is to buy a ‘foreign quota’ freehold condominium. This means you have to make sure that you are buying within the ‘permitted’ unit quota that can be sold to foreigners in a condominium building, which cannot be more than 49% of the saleable registrable area of the building. In Bangkok, most condominiums have units owned by Thais, so it is unlikely you will breach this quota by buying one condominium unit. However, in tourist areas, it may be an issue. In Bangkok at the moment, generally speaking, there is an oversupply of condominium units and I have an investment condominium in a nice area which has been sitting empty for 5 months whilst the mortgage still needs to be paid. My other condominium is rented but is an an absolute prime area and I still have to top up and pay the common area fees. For individual properties on land plots the most common form of investment for foreigners used to be by setting up a Thai company to structure the investment. Thai companies generally have to be at least 51% Thai owned if they own land. Up to 49% can therefore be owned by a foreigner but there are actually lots of conditions. This was a practice actively encouraged by many agents and advisors and it appeared it was well known and accepted practice. However, the practice does not sit well with the spirit of prohibition of land ownership for foreigners in Thailand, and the authorities looked into the practice. It became apparent that many investors had set up companies with shareholders they didn’t know and who had not really invested in the company at all. Documents such as ‘blank share transfer forms’ had been used to try and neutralize the position of Thai shareholders and various Government agencies issued announcements to make it clear that they viewed this practice as illegal. Therefore, many foreigners still own properties in Thai company structures. Some of reorganized their companies to be more compliant, and some haven’t. If you think about setting up a Thai company, do not take any shortcuts on advice and appreciate you will incur additional expenses. Further, you must be able to justify your company beyond land ownership for other business. (i) simple lease ownership. This lease will be for 30 years only which is the maximum residential lease term available for foreigners. This means you must calculate any planned rental return over 30 years and understand that after 30 years your lease will no longer be registered. Many sellers try to overcome this by promising renewals. If public companies offer renewals, then it is very clear they will have to honour the renewals, provided they are still solvent in 30 years time. For private companies, care should be taken if you imagine relying upon renewals in a simple lease ownership structure. (ii) collective leasehold ownership. You buy a 30 year lease, but you with other owners take a stake in the company that controls the ‘renewal’ of the lease. You cannot with other owners control more than 49% of this renewal controlling company. There are some good structures, and some not so good. However, this is the most satisfactory form of leasehold aside from buying a renewable lease from a public company. So… When an agent provides particulars to you based on your property investment criteria, make sure you make the agent take out of the equation any forms of legal ownership that would not be satisfactory to you. Do some homework on the expenses involved also and factor this into your overall budget. Thailand is unique in many ways. The land ownership system and register is unique and so is the meaning of land and how rights are treated by the law and determined in the courts. The interpretation of restrictions on building, zoning, set back from beaches, heights of buildings, number of rooms, licenses required for ‘deemed hotel use, are all factors to be considered. 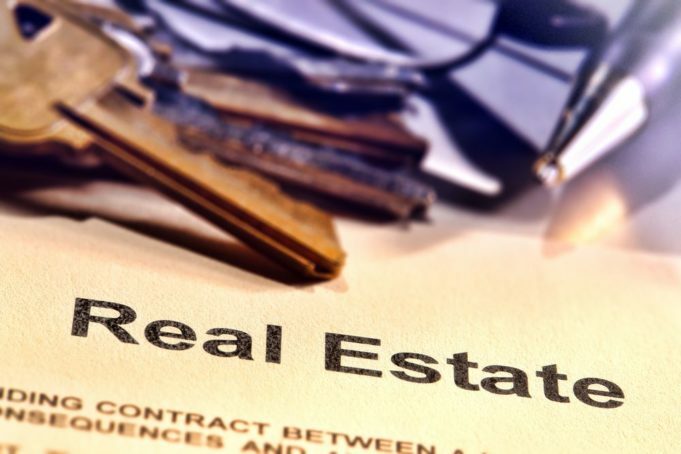 In my original home jurisdiction of the U.K., the use of a lawyer for ‘due diligence’ for buying property is considered a commodity exercise which is the case in many other countries. Any law firm on the ‘high street’ should be able to conduct a ‘conveyance’ or property transaction. If you compare these fees with Thailand’s and try to getaway similar deal on fees then it is likely full due diligence will not be conducted. You get what you pay for, and you need more help when you are buying in a foreign country that restricts property investment for foreigners. Many business people think they can read a contract as they probably for for their business regularly. However, contracts in Thailand are governed by a different set of laws and also in many cases if you forget to state something in a contract, the law will not step in and rescue a contracting party by implying a term for them. When it comes to a contract dealing with timing of due diligence; placement of a deposit and terms of a refund of it; how ‘completion’ of registration of legal rights will work, and what will happen upon handover of the property in relation to utilities; payments and transfers of the purchase price or delivery of a cashiers cheque, precision and knowledge is required. Please note that certain contracts and documents must be presented to the authorities in Thai language and therefore the translations need to be checked for accuracy also. Make sure you calculate the taxes properly and understand with your advisers the different values that can be attributed to a part of a transaction. Some taxes are for a seller, some for a buyer, and some for negotiation. Some taxes apply to the actual price, and some to the minimum assessed value. If you google this, you may well see different answers ! Check with a lawyer, and pay them for the information. They should also check with the Land Department, in person. Rental returns are seen as an essential sales tool by developers. Some of them are good deals, for the period of time they are in place. Others have their costs buried back in the purchase price. Some are called guarantees, but aren’t guaranteed beyond the use of the word. A real guarantee is a trade able instrument which would be accepted by a bank as evidence of future income. Even if the guarantee falls short of that kind of strength, it shouldn’t be far off that. Further, you must scrutinize very carefully all conditions and provisos linked to a guarantee. Also check any usage rights and restrictions in various seasons. Further check how expenses are handled during the time your property is rented out and also how capital repairs are dealt with so you will not be surprised by invoices. A good manager should also ensure a healthy ‘sinking fund’ or group of collected funds is held for future repairs.